Cross-platform MMOs have existed in the past, but there is one game on the horizon that is looking at trying to make the idea a bit more mainstream. 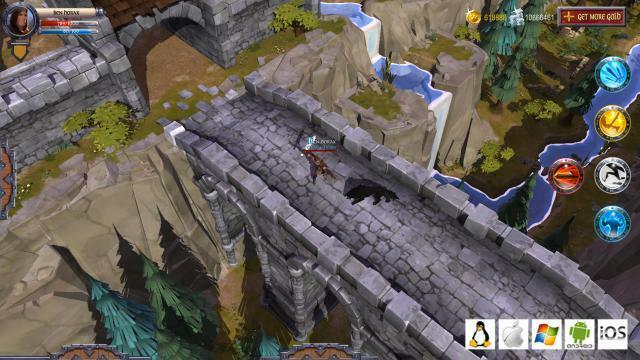 That game is Albion Online by a small development team working for Sandbox Interactive. This little known gem is planning on providing services on Windows 7, Windows 8, Linux, Android, iOS 6, and Mac. The neat thing about the game is it’s kind of a take on Ultima Online. While we’re going to talk a bit about Albion Online, I do have some additional thoughts about cross-platform MMOs that we will go on about in a bit. For now though, we’re going to talk about my perceived issues with a game like Albion Online based solely off of the materials provided. That issue is obviously that you have a lot to think about when you’re going cross-platform. Like, a lot, and you can tell with the simplistic graphics that the game isn’t necessarily cutting edge like FFXIV. When a game goes cross-platform you have to either develop multiple versions of the game or utilize an engine easier for mobile processors to digest, sort of like Dungeon Defenders. Albion Online has a few more interesting challenges, I believe, for instance in the spirit of UO your corpse is fully lootable on death. This also means that while on a mobile device there may be instances where there is a distraction, lost connection, battery failure, etc. that may result in your untimely demise and summarily the loss of precious game items. It uses a system sort of like Second Life where they run a real money to game money exchange, so there could be a scenario where you’re playing on your iPad, the battery goes out, and the sword you paid 10 bucks for is now in the hands of an enemy, the only two people truly benefiting is the crafter who made it (the game doesn’t sell items specifically) and the attacker who is sitting safely at home on his computer running Debian. Cross-platform gaming has a lot of challenges. Games like FFXIV for instance have to be careful with communication issues, since those with controllers have a much harder time chatting. The same for a game like Albion Online where typing on an Android tablet keyboard takes forever, at least for me. So communication barriers start to arise the smaller the device is, but at the same time those with home computers are capable of open communication. It’s never fun to meet someone and have them talk in txt speak while you’re typing novellas directly on your personal keyboard. Cross-platform MMOs have a lot of challenges, but they also open up an entire world of interaction and portability. You can play at home on the computer, on the bus, while waiting for a table at a restaurant, on a friends Mac, or anywhere. Games like World of Warcraft try to balance out the fact that their game isn’t satisfying on the small screen by allowing mobile access to guild chat, the auction house, and the game database. However, it’s not as truly satisfying as being able to explore Azeroth from pretty much anywhere on Earth. There are some other attempts at cross-platform MMOs. For instance, Second Life is available on pretty much every form of device known to man in some way or another, from purely text based IM & chat to various types of graphical clients, all thanks to its open source viewer. There are various PC to console games like FFX, FFXIV, and DC Universe while games like Dust 514 is a console exclusive, but interacts with the PC version of the game. There are a few big hurdles. First, as I previously mentioned, getting the game to work on a variety of hardware configurations usually results in having to use a very simple game engine. This greatly inhibits the ability to have an eye candy based game like TERA. Then there is the connection issue, mobile connections aren’t very strong. So time critical combat is hard to translate. However, the biggest advantage is the ability to immerse yourself in a virtual world anywhere in the real world. To communicate with your allies, adventure with your friends, and more all from the convenience of anywhere. 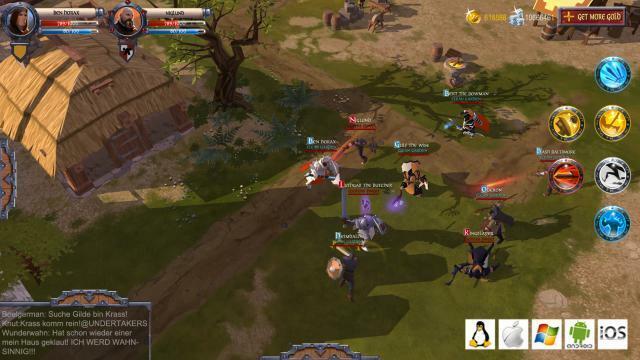 As technology advances and we move more away from ARM processors and into an age where x64 processors are portable, we will probably see more and more games be mobile friendly, until then let’s hope that Albion Online is a truly exciting experience. To read the latest guides, news, and features you can visit our Albion Online Game Page.